Deborah Tuggle is the operator of two all-natural, organic cooking companies in the city of Lakewood, just south of Tacoma. 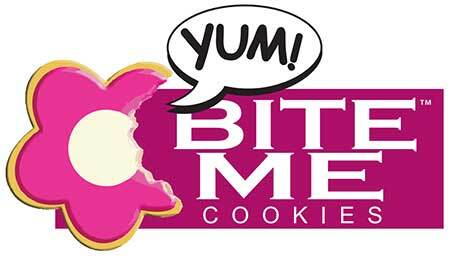 Friday’s Cookies is a gourmet line while Bite Me, Inc. provides baked shortbread cookies and frozen dough balls that can be used for baking. Deborah enrolled in the state’s Economic Gardening program in 2016, connecting her with the National Center for Economic Gardening and its team of market research, geographic information systems (GIS) and digital marketing experts. One of her main business goals was to expand and diversify her customer base which at the time was primarily a local grocery chain that bought her private-label cookie products instead of her branded line. High-Quality Sales Leads: A member of the team built a profile of her current customer, analyzing the demographics of the grocery chain’s customers. These customers turned out to be more affluent than first thought. Leveraging the GIS tools, the consultant then identified other geographic locations around the country that had that same demographic of affluent customers as well as the retailers who serve this customer base. Deborah received a list of 253 potential grocery outlets she could target, which included store revenue, credit score, website address, names of individuals to contact as well as their phone numbers and email addresses. Industry Trends and Intelligence: Another member of the team tackled a research project that looked at the upscale specialty gourmet market segment to look for potential areas for expansion, such as meal delivery kits or segments that were interested in organic products. She also identified and analyzed the company’s main competitors so Deborah could do some benchmarking and focus on best practices, such as how the company should be positioned in the market, how to effectively use social media and what types of community and charitable partnerships they could participate in. Digital Marketing: A final member of the team did an analysis of Deborah’s website, focusing on SEO. The goal was to find ways to improve Bite Me!’s digital storefront with an emphasis on strengthening business-to-business prospects. The team also examined ways to use social media to target retailers who may want to carry the company’s products. Armed with the information provided by the NSRT team, Deborah was able to make significant progress in expanding her client base. She added 327 Safeway stores to her clientele. To keep up with the new orders, she hired 12 new people, including a production manager, bringing total employment to 37. Revenue the following year was projected to be nearly $2 million, up from $1.6 million the year before. Deborah gave Economic Development high marks. “The information I have in my hands is priceless,” she said. “It’s something I can still use 10 years from now.